You're an Operator: How does that benefit my investment? So You’re an “Operator”: How Exactly Does That Benefit My Investment? As a business investor, why should I care if you were an Operator? 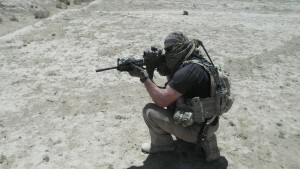 Having recently ended active duty service with Special Forces (SF) to return to the private sector and to backing startups, we have so far brought in four management teams composed of former Green Berets (GB), to lead our startups, while assisting 9 other GB led companies. This despite the fact these teams possess minimal, if any, background in business or technology or more importantly startups. What lead us to select these individuals to run four of our technology startups was a mixture of factors, as is always the case. Primary to which however was the ability to research, plan, assemble teams, obtain consensus and to lead, skills not often found within any individual, much less the average innovator or entrepreneur. s derived from SF service to those of business and finance. To an individual, each recognized that while they possessed superior potential for purely private sector competitive advantage over their non-SF peers, they needed to be conversant in the language and practices of Capitalism. This would require additional sacrifice in time, money and effort to realize the real asset value made possible by SF experience, and these individuals had set themselves to those additional efforts. To where these individuals come from. Having been “selected”, having successfully endured a brutally intense multi-week job interview, does not make one a Green Beret. Only 18 to 24 months of rigorous education and training in the SF Qualification Course makes one a Green Beret, which course has one of the highest attrition rates of any course anywhere in the world. And even then, one is not considered to actually be a Green Beret until they have gone beyond the Q Course to having successfully served at least 3 years on an Operational Detachment Alpha. This is true for business as well. Having a good idea or the ability to manage do not in themselves make one a business person or entrepreneur, nor does working for a company or a military background. Only specific business training and experience makes one a business person or entrepreneur. This does not mean SF skills and experience are irrelevant, quite the contrary. Rather, as with any of the many specialty skills a GB may be a practitioner of, this experience must be refined specifically in the context of business in order to be of any real value to the bottom line, to the investor. The difficulty of course for those transitioning from SF to the private sector is the operational tempo of SF service, the number of missions the team plans for, executes and after action reviews in a given year, before moving almost immediately on to required additional advanced schooling or another mission. Given the brutal workload it is almost impossible to continue private sector education, much less business education, which for the business uninitiated seems to not relate to the daily requirements of SF at all. However, many do pursue private sector education while serving, even with 14 years of non-stop warfare and back to back combat rotations. These individuals, when they make the transition to the private sector, need not wait another 3-5 years to join the workforce and begin to make contributions to their civilian career. Beginning in Afghanistan on a combat deployment and after while serving as Assistant Operations and Intelligence Sergeant for a highly specialized and extremely high op tempo specialty team within the Commander’s In-extremis Force out of Okinawa, I attended school full time and finished my undergraduate studies. Many who were also attending Norwich’s Strategic Studies and Defense Analysis Bachelor’s program were also active SF, fitting their studies around combat deployments, advanced schools, career development schools and where possible, time with their families. Many of whom went on to Master’s degree studies, to include MBAs. These are the exceptions however. Most simply do not have the time or remaining energy to pursue both private sector, mostly remote learning, education and SF service and career development. This need not be an ending however to the attainment of business and finance training and education while on active duty. In fact, through a relationship with Skillsoft, the US Army provides access to a comprehensive suite of business curriculum courses, the very same courses which Skillsoft offers to its private sector corporate clients. The business curriculum courses also include comprehensive Six Sigma, LEAN, Project Management Professional and Chartered Financial Analyst certification training. All of which is free of charge. In order to remain current and keep my business mind fresh, I used a number of these modules myself while on active duty. Very few however are aware of the Skillsoft relationship or offering, much less willing to put in precious private time to dig into business studies. This is unfortunate as many members of the Regiment would be able to step directly into management roles in private sector business if they had dedicated time over their years of service to business and finance education, in particular, emphasis on Profit-and-Loss statements, marketing and market research. Studies in these three areas alone, when coupled with intelligence, planning, project management, team leadership and post mission analysis native to every member of SF, provides a substantial advantage over purely private sector peers. Despite that these private sector peers have some years of experience directly in business, which the GB does not. Know the difference between a mentor and an adviser and select both exceedingly carefully – because an adviser is successful in a given industry does not mean they can provide appropriate guidance for an industry outside their own nor can a mentor provide you access and placement outside their own immediate industry and sphere of influence. e room. Only those skills and experience which directly and substantially improve our investment matter. Not that we don’t also select for the charisma and leadership which comes with an “Operator” and which is in short supply among most civilian startup teams. Ultimately this means you will get one chance to articulate to us how your specific education, training, experience and network in SF directly impacts the bottom line of the company you are being considered for or are presenting. Self educating in business, with freely available and self-paced resources, either through Skillsoft or Coursera, long before leaving the uniform behind, is the surest way to ensure you don’t throw a round when you take your shot in the business world. And even if you intend to stay in uniform, a thorough understanding of business and finance will give you a substantial advantage over your peers.